To date, we have raised a total of £13,415.00 for our Building Hope in Bunkpurugu project! Our fundraising continues to support our Ghanaian friends in building their new school. Here are some of our recent projects. Our year 6 sold tickets for their end-of-year production of Disney’s The Lion King. It was an incredible production with amazing choreography, fabulous costumes and some truly wonderful acting from our year 6 pupils. Our Earth Guardians created the first ever EM Hope Magazine. It was packed full of wildlife facts and games and was sold in the Tuck Shop. It raised an incredible £38.38 for the project. Our Year 3 children wrote, illustrated and published a story book called A Journey for Hope. We held an Inventors’ Fair to see if we could tackle global pollution problems at home and in Africa. Our judge from Rolls Royce’s sustainability team was very impressed! Niamh’s winning entry was a steel ship which would travel the oceans collection plastic pollution with on-board drones to sort it into recycling piles. Our 12 finalists all received prizes from Ghana including sweets, biscuits and traditional fabric. We met African animals; created Ghanaian food, jewellery and artwork; learnt about Ghanaian culture and much more. The theme was "A Journey to Hope" with all profits going to the Building Hope project – these are currently on sale so get yours before they sell out! to raise funds – some CDs are still available! Reception created African inspired shopping bags which raised a huge amount of money - £152.00! In fact, every child, in every class has contributed to this project and we are incredibly proud of their commitment to our friends in Bunkpurugu. 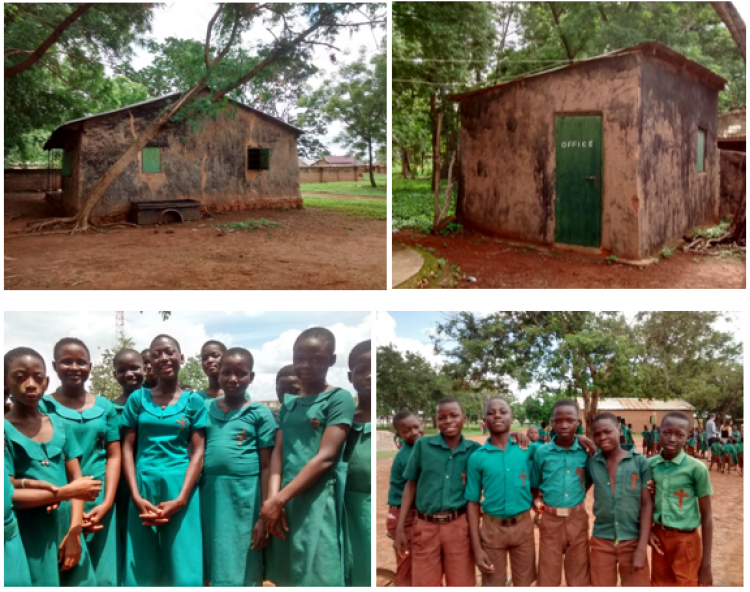 Visit to Bunkpurugu June 2018 - What impact has all our fundraising made? A team from the Multi-Academy Trust, including our very own Mrs Pettifer, visited Bunkpurugu to see for themselves how our project to build a school there is progressing. We met the children, in particular those who had written us letters two years ago - Norbert, Laurencia, Philip, Joyce and many more. These children have such incredible potential to achieve great things in their lives, but with their existing school building in such poor condition, they do not have the opportunities they deserve. Thanks to all our fundraising, the new school building is looking very impressive. There are walls in place for all the classrooms and it is possible to visualise what the finished school will look like. Following a meeting with Sister Bernadine (The Director of Catholic Education in Northern Ghana) we discovered that Our Lady of Hope Primary School is on track from becoming one of "the worst" school buildings to "the best school" in the district. 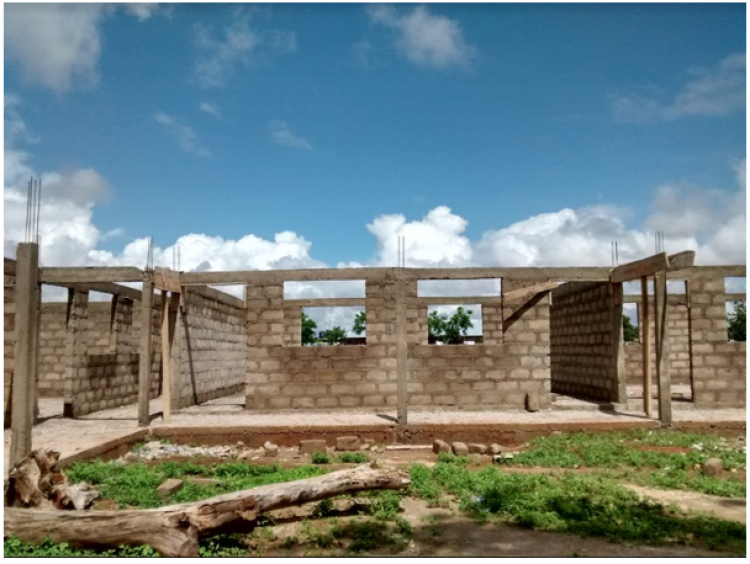 Moving forward, the team in Ghana are hopeful that over summer the structure will have a secure roof, working toilets, and that one class (Year 7) will be working in classroom one by September! This will mean that those very children we first came to know and love, Norbert, Laurencia, Philip and co. will be the first to benefit from the school they have inspired us to support.